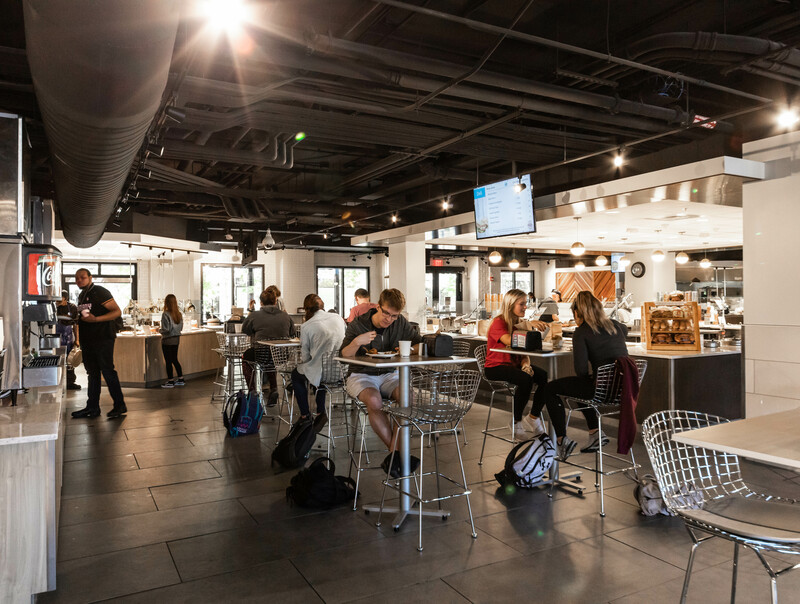 Dining Services is committed to provide the College community with varied, healthy eating options in enjoyable settings that promote social interaction. Our chefs and dietitians plan creative offerings to meet the health and wellness needs of every diner. Sustainability is a fundamental principle that reduces environmental impact and allows us to source local, seasonal and socially responsible products. Aramark is contracted to operate 11 locations throughout the campus. All locations are open to the public and include several national brands. Catering for on-campus events can be customized for every occasion. For information including locations, hours of operation, meal plan options, health and wellness services and catering, please click here or visit our office at 65 George St. Charleston, SC.